Canada’s northernmost large city, Edmonton, will soon welcome audiences to the sharpest views of the sky and cosmos ever seen in a modern digital planetarium. TELUS World of Science – Edmonton is upgrading its immense 23-meter Margaret Zeidler Star Theatre to a high-contrast, all-digital Sky-Skan system that will exceed 10K resolution. 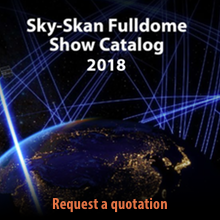 Renamed the Zeidler Dome, it will have over six times the pixel density of its predecessor, and will be powered by Sky-Skan’s advanced DigitalSky – Dark Matter™ simulation and show control system. Edmonton has always led the way for astronomy popularization and education in Canada,” said Alan Nursall, President and CEO at TWOSE. Through our collaboration with Sky-Skan, we are reinvigorating our commitment to offering our guests awe-inspiring presentations of natural wonders on the grandest of scales. The renovated Zeidler Dome will also feature new surround-sound audio, a nearly seamless new projection dome by Astro Tec, new seating, and a new central performance stage in the area once occupied by an optical-mechanical star projector. 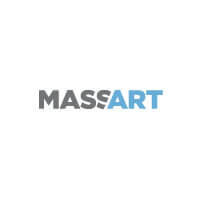 Frank Florian, TWOSE’s Director of Planetarium and Space Sciences, plans to use the new technology for a wide range of informative and entertaining programming. A new fulldome show was just added to the Fulldome Database, check it out: TABALUGA and the Signs of the Times by the content dome Info and trailer available.